This past weekend I’ve started to really look forward to summer. Luke and I have started eyeing up potential holidays to book, and I can’t even tell you how excited I am to get something sorted to look forward to. The mornings and evenings have started getting so much lighter over the past couple of weeks, it’s as though January ended and suddenly the sun just re-appeared, but I’m not complaining! 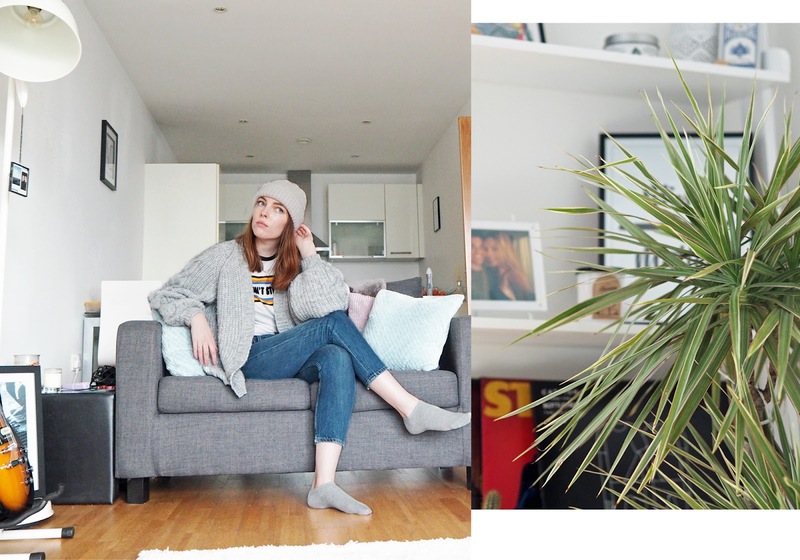 I’ve made it clear many a time on this blog that I love winter, but by God, I need all the help I can get getting out of bed for work in the mornings, so I’m all for lighter mornings. I think this is what has got me onto the holiday hype. My mind is always running at 100 miles an hour and thinking about what my next big thing is going to be, whether that in my career, moving house, or booking a holiday, I always need something to work towards and plan. I’ll happily admit I’m a teeny bit of a control freak, but I love having something to plan, work towards and look forward to. That’s what I’m looking forward to on the macro scale at the moment, and on the micro, I’m constantly thinking about my wardrobe and where I want to take it as we transition from the cold old days of winter which are soon to be in the past… although I may be a bit ahead of myself (again) as I shot these images inside as it was snowing so much outside. But hey-ho, I wanted to chat about the key pieces I’m thinking about swapping my knitwear and wooly hat out for, so here goes. First of all I wanted to give a mention to this FAB slogan t-shirt from Zara. I don’t need to say much, but it’s so me and I love it. 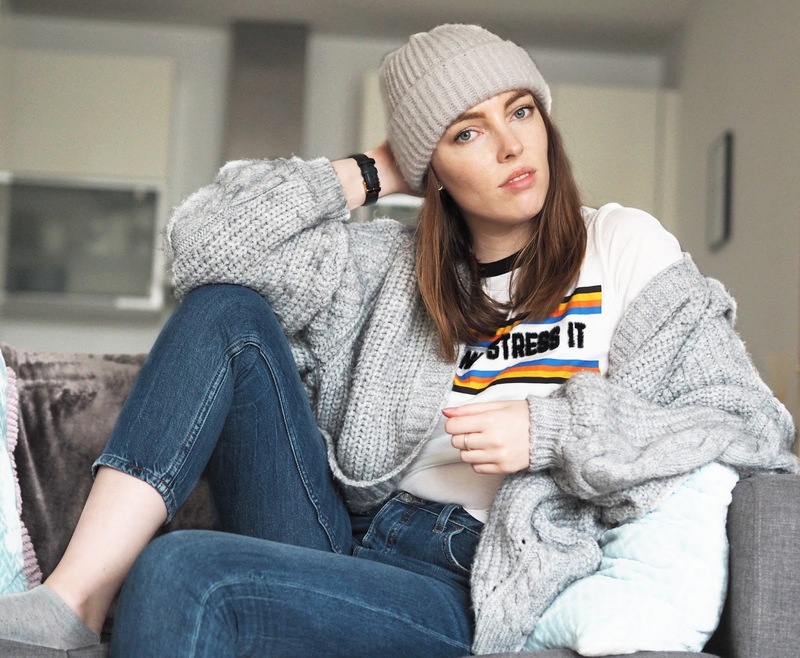 It leads me nicely onto the first area of my wardrobe that I want to refresh for the Spring, and that is the mammoth trend that still is, slogan t-shirts. The statement tee has been huge over the past few seasons, and I’m all for it sticking around. 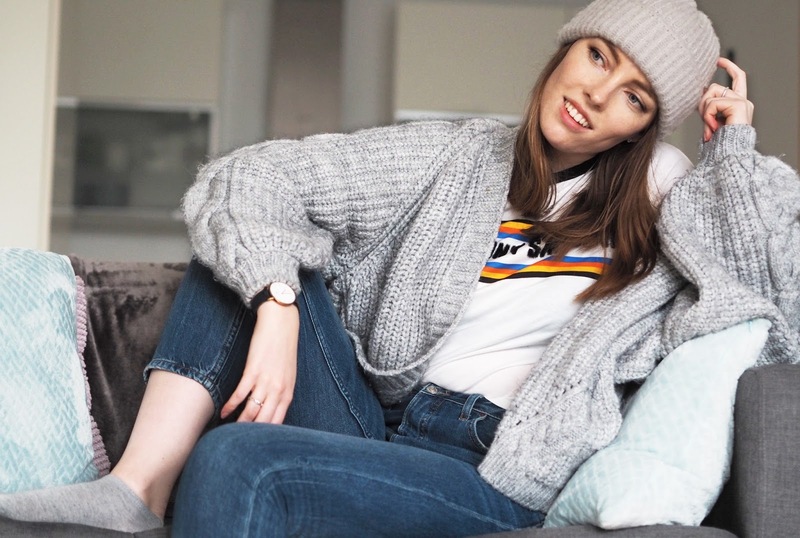 Whether it’s teamed up with a pair of your best jeans, or against some #GIRLBOSS tailored trousers, statement t shirts with classic band or film print like the ones from HMV add so much substance to an outfit. 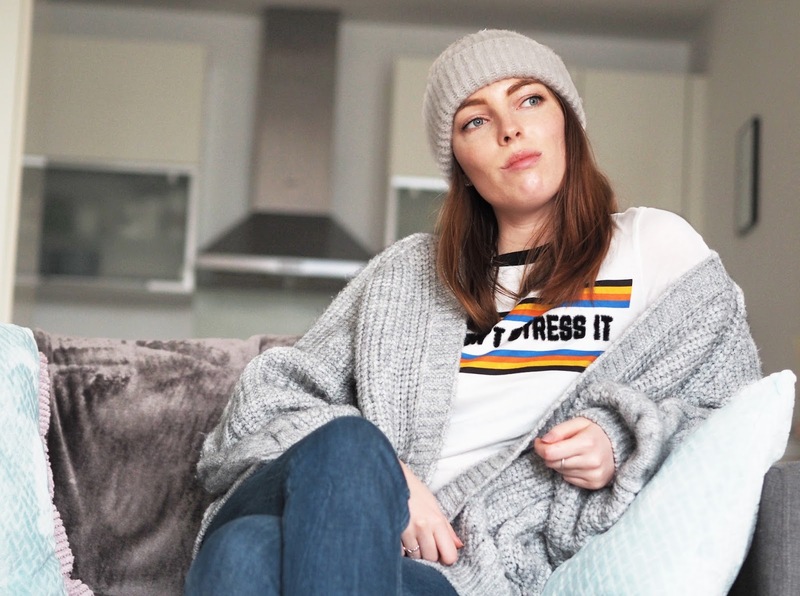 There’s a t-shirt for everyone and I love how you can use them to really show an a snippet your personality, and give a sassy or funny edge to the simplest of outfits. The houndstooth blazer is a firm favourite on my spring wish list. It’s a bit of a move on from the check blazers that have been everywhere for the past year, which I’m still loving as well. I tried this one on in New Look at the weekend, and plan to pop back and get it. As soon as I get paid, #reality. I just know that it will go with so much of my wardrobe and I’m excited to wear it, even though it isn’t actually mine yet.. The Pendant. You’ve seen them, the fine gold chain, or maybe a few, with a gold pendant, ideally with a cute message or symbol embossed onto it. 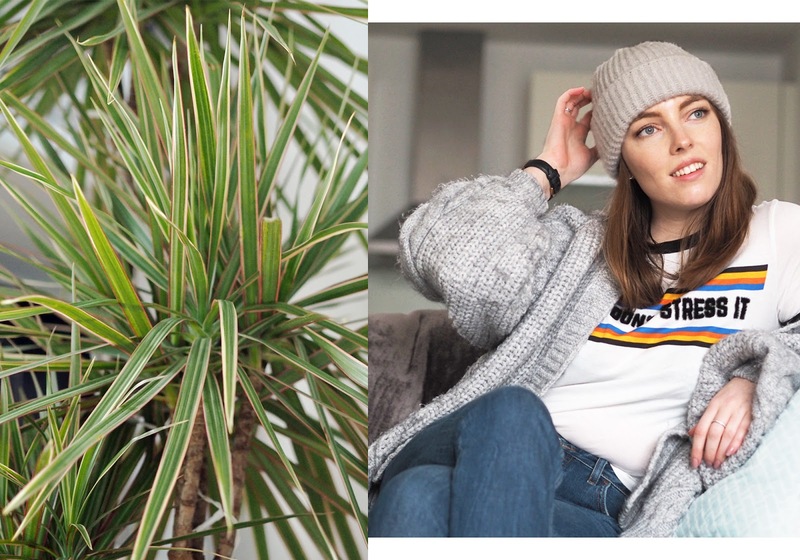 They’ve been all over the show as a staple for over turtle necks in the winter months, and I have picked up one or two that just aren’t quite right. Luke wears one that he’s had for years and years, with a St. Christopher engraving which I love, so if anyone has seen a some good ones on the high street.. lemme know! The Light Wash Jeans, that I talked about here, but never actually bought. I want a pair of super pale blue jeans, probably to wear with my new (so new that I don’t even own it yet) blazer that I mentioned earlier. 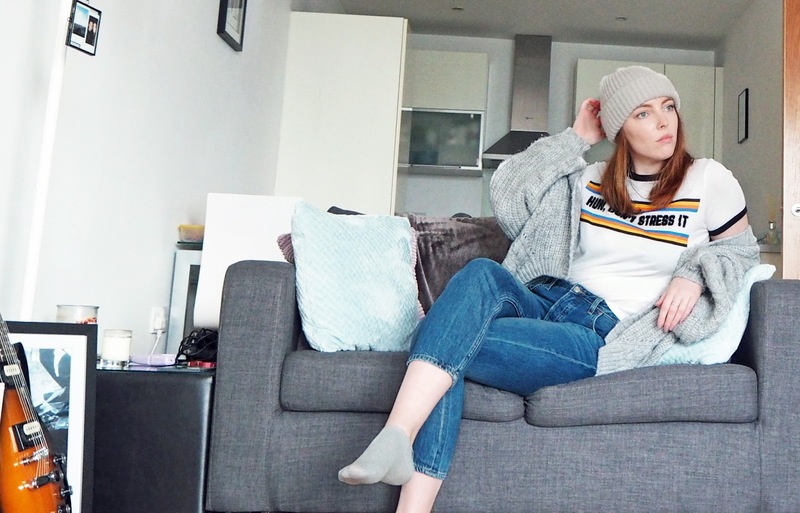 I love the Topshop Straight cuts so they are a likely candidate, I think they’re really effortlessly cool and such a wardrobe staple for the spring/summer months. What are the key things you guys are searching for in the transition? The excitement is real about getting rid of some old tat that does nothing for me anymore and replacing it with some SS18 newbies, hopefully from the above categories which I have actually given thought to. But even outside of the above, my eyes are peeled and I’m definitely on the hunt to strengthen my wardrobe into more of a capsule wardrobe. I know, I say this every year, but one day, I will get there. This post was written in collaboration with HMV Clothing.